We choose the way which leads between the two great lines of force. Equity and equilibrium are qualities brought about through the Light of Libra. We can now reach further balance towards achieving increased soul infusion through the application of Wisdom – knowledge gained through experience and implemented with love. This practice describes the narrow, razor-edged path between the pairs of opposites, associated with Libra. 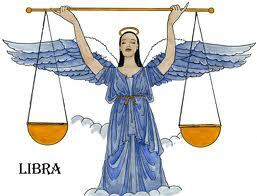 Libra is the point of balance in the zodiac, the place where neither spirit nor matter dominates. During this unfolding lunar cycle culminating at the Full Moon of Libra-Aries, we may develop the practice of choosing the Way which leads between the two great lines of force, allowing the scales of justice to come into balance. Presently, a potential is being enlivened and seeds of consciousness are forming deep within. We are called now to assist in the Spiritual Hierarchy‘s task of setting an example for humanity – acting “as if” we are members of the Spiritual Kingdom, to which we aspire. Please connect with the group soul this Full Moon and after no matter where you are physically on the planet. Get together with friends and family. You will be glad that you did. 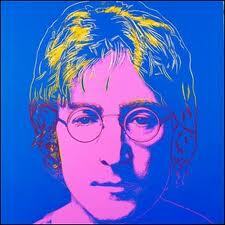 You may say that we Librans are dreamers, but we are not the only ones. It is very important to remember that the Full Moon is a GLOBAL EVENT which affects the entire planet. Let us link up with the thousands of people who are celebrating this Full Moon and affirm that the Evolution/Revolution has started. It must be PEACEFUL! We believe that Libra knows that there is no Peace without Justice. And there is no Justice without Peace. This includes economic, social, and political fairness. The current unrest that continues all over the globe invokes the need for global transformation. The Sun at the Full Moon was opposing Uranus and squaring Pluto. The Moon in Aries was conjunct Uranus. All of this is very volatile, to say the least. Time has run out for the Plutocracy that has held a stranglehold on the masses for way too long. It is a fresh wind that blows against the Empire. But the Sun in Libra emphasizes that we must follow Libra Mahatma Gandhi’s teachings on Satyagraha. We must speak truth to power and be strong but non-violent. This entry was posted in Astrology, Full Moon, Peace, Uncategorized and tagged Astrology, Full Moon, International Politics, Peace. Bookmark the permalink. Thank you for welcoming me into the family. This has opened a new world view for me to experience and explore.